Availability: Free Shipping in the US - Ashlyn arrives in about a week. 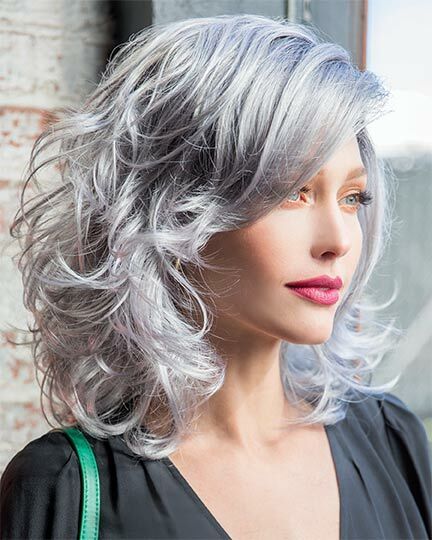 Fringe: 8.0", Crown: 17.5", Nape: 16.5"
Ashlyn, designed by Noriko Suzuki for TressAllure Wigs, with its slightly off centered part line, is a lusciously long wig falling below the shoulders in soft waves with light layering throughout. You may have Ashlyn professionally styled to attain a more personalized look or wear as is. 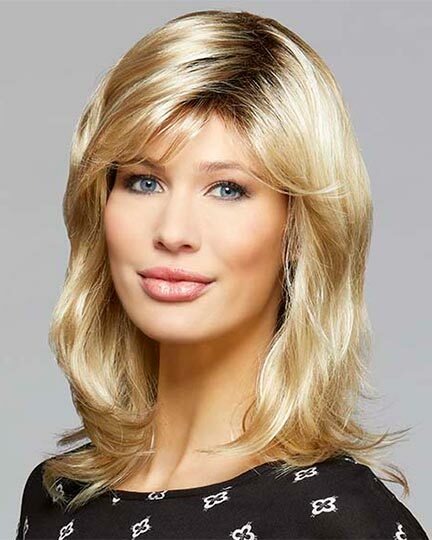 The TressAllure Ashlyn wigs features a standard weft cap construction with adjustable straps (no Velcro) to tighten or loosen the cap size for all day wearing comfort. The second color way shown for Ashlyn is Chiffon-Candy. The Ashlyn wig weighs 172.9 grams. There are 21 colors available for Ashlyn. To Buy Ashlyn, Click On A Small Swatch Below. If you would like to discover other products that share some of Ashlyn's qualities try the links below.